At a routine doctor’s appointment earlier this year, I was asked my height. ‘A touch under 5ft 5in,’ I confidently answered, which is about average for a woman. My doctor still insisted on measuring me – and, to my shock, I discovered I’m actually an inch shorter than I thought. Afterwards, I researched the subject, finding that by age 70, I’m likely to be nearly two inches shorter than in my 20s. To add insult to injury, I learn that men shrink much less than women – just one inch over the same period. 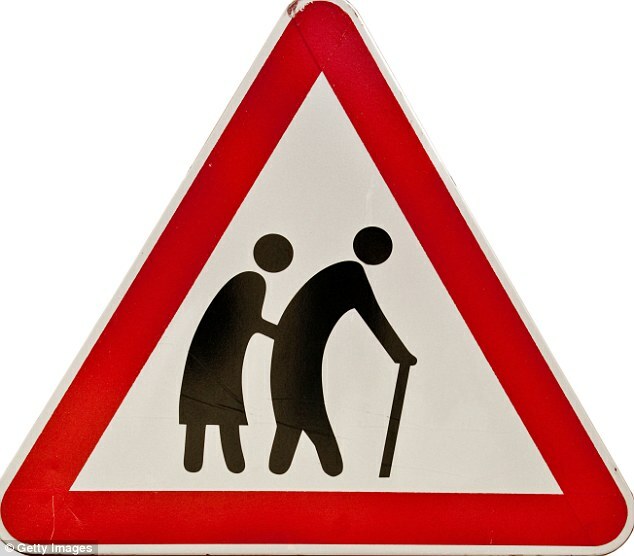 Both sexes shorten with age as discs between vertebrae flatten and space between joints narrows, but some factors affect only women. We’re much more prone to bone-crumbling osteoporosis, for example. Although the idea of finding it even harder to reach top shelves is annoying, there are other reasons to worry about height loss. For, in our late 40s the menopause can make us put on weight around our middles. This, coupled with getting shorter, can give us a dumpy, middle-aged look. I’m desperate to avoid this, so is there any way I can reclaim the inches? On the internet, there are dozens of stretching exercises promising to make you taller. But none seem scientifically proven or guaranteed to have a permanent effect. A Russian hospital also offers to help patients grow an inch or two in as many months. But as it involves having my legs broken, then lying in bed for weeks as the bone knits back together, I decide against it. Friends tell me yoga and Pilates may help, but when I look into it I find that they may extend the muscles, but won’t permanently address the core problem – creeping curvature of the spine. Eventually, I decide the best way of reversing my downward trend is the Alexander Technique. Developed at the turn of the last century by Australian actor Frederick Matthias Alexander to improve his voice, it’s since been found to help with ailments including back pain, headaches – and age-related shrinking. It does this by teaching ‘good use of the body’ – in other words, how to correct bad posture by learning the proper way to stand, sit and walk. This straightens out your spine, and you regain your former lofty height. I’m rather surprised when I walk into the London office of practitioner Nöel Kingsley, author of Perfect Poise, Perfect Life, to see no special equipment. I was expecting a rack. Instead, he has an ordinary dining chair in the centre of the room and a treatment table. Nöel tells me that as young children, our backs have perfect muscular co-ordination, and therefore excellent posture. That’s because babies must learn how to balance their heavy skulls on their spines when starting to walk. But over time, bad habits set in, especially in puberty when we start slouching. 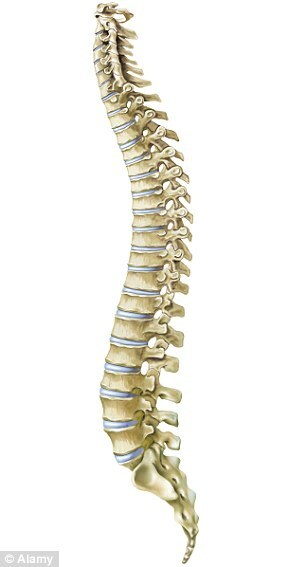 Over the years, this exaggerates the natural S-shape of the spine. I’ve noticed mine is so curvy I find it hard to stand up straight against a wall. I’ve also developed a strange clicking noise in my neck, and one shoulder sits slightly higher than the other. When I try to stand up straight, it feels like a strain. Nöel says it’s an indication the muscles supporting my vertebrae are out of kilter, when I tell him this. And by standing ramrod straight, I’m probably stretching all the wrong muscles, which won’t help long-term. To begin treatment, Nöel asks me to sit down and stand up several times so he can see how the muscles in my back and neck work together. He also places his hands on my muscles to feel exactly how they shift. Once that’s done, he has some shocking news for me – I’ve the beginnings of a widow’s hump. I feel the colour drain from my face as Nöel explains years of craning my neck to work at a computer have caused a build-up of fleshy tissue at the top of my back owing to the strain of supporting my head off-balance as I jut it forward. A few minutes ago, I just wanted to be taller. If it didn’t work out, I wouldn’t have been too bothered. But this has raised the stakes. I have to improve my posture. So I pay close attention as Nöel teaches me how to sit and stand correctly, improving my muscle co-ordination so I move more efficiently. He gives me a set of directions to think about each time I move. I have to pause before standing, to stop myself standing up in my old, inefficient way. Then I have to imagine my neck being ‘free’, my head moving forward and upwards, and my back lengthening and widening. If I keep these ideas in mind, he says, my body will naturally move in a more co-ordinated, graceful way. Over time, it should become second nature. Then Nöel moves on to the lower half of my body. He asks me to lie flat on my back on the treatment table, with my neck resting on a stack of books about 3in high. Then he slowly bends and unbends my legs and arms. One at a time, Nöel takes each limb out straight and gently lengthens it, so I can feel it stretching from the joint. As he works on my legs, I can feel the tension in my hamstrings being released. I really feel my limbs are lengthening. He also gently eases my shoulders flat from their rounded position. The final 15 minutes of the 45-minute session are spent on exercises. One involves me standing up against a wall on tiptoes. Nöel then tells me to keep my head at the same height while I slowly let my heels drop. My spine feels like it is expanding like an accordion. The appointment ends with me walking a few laps of the room, bearing in mind the directions I was given, so I am ready to go out into the world with more poise. Apparently, one lesson is enough to start decompressing my spine. By the end of the session, when Nöel measures me, I find I’m already walking nearly half an inch taller – and he promises there is more height to be gained. Apart from that, as I step onto the street, I feel as if I’m walking on air. There’s also a tingle in my fingers as a result of better blood flow and I can feel myself breathing more easily as my body unfurls. However, I’m a bit taken aback to find how long it will take to complete the process – an initial course is usually between 15 and 30 lessons at £85 each. Ouch. To get the best results, it’s advised to start off intensively, so after my initial session, I sign up for four lessons a week over two months. Nöel assures me it will be worth it – apparently I’ll look up to ten years younger as well as taller. This is because, as the spine releases, internal organs become less squashed and the lungs expand. more easily. This means more oxygen reaching the skin, leading to a better complexion and digestion. Many people also report feeling calmer after an Alexander course. Over the sessions that follow, my lessons take on the same pattern: sitting on the chair, time on the table and exercises. The real challenge, though, is applying what I learn to everyday life. As I walk and sit, I try to replay Nöel’s mantra – ‘neck to be free’ – in my mind to remind me to keep my skull balanced at the top of my spine instead of forced forward. Every day, I have to lie on the floor for ten minutes, with my knees bent slightly up and feet flat on the floor to straighten my spine, while I imagine my shoulders releasing and melting into the floor. I also drink much more water. Over time, the jelly-like discs between the vertebrae dry out and flatten. Simply drinking 1.2 to 2 litres of water a day can help plump them up again. I have to abandon my beloved high heels as they could actually be helping to shrink me. 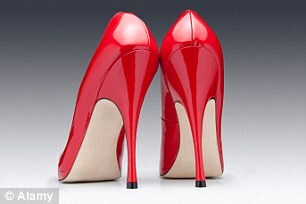 Stilettos push the weight of the body forward, throwing you off balance and stiffening the hips. Women compensate for this by leaning backwards from the waist, creating tension in the back, which can shorten stature. Nöel does not say I have to discard my Jimmy Choos, but recommends buying less high shoes in future. He also suggests not wearing heels every day. Also, as I’m permanently glued to my iPad and iPhone, I am told to stop looking down at them, which only encourages a widow’s hump. Instead, I have to raise them to eye level. I get weird looks on the Tube. As the weeks pass, although I don’t measure myself, I do notice a few of my skirts and dresses seem a bit shorter than I remembered. When I tell Nöel, he recalls how he once treated a bride-to-be who became so much taller that her wedding dress no longer skimmed the floor but was raised high enough to show off her silver shoes. One other female client had to let down the hem of her trousers a quarter of an inch every month until she reached maximum height after several sessions. By the end of my eight-week course, a friend I hadn’t seen for a while asks if I have lost weight. I haven’t. And a few weeks before, I’d got a wolf-whistle, possibly because my gait appears more youthful. Nöel says it’s often simple bad habits that make middle-aged women look matronly. Even the dreaded middle-age spread can be partly explained by the fact the tummy is being forced out because the spine is no longer straight. By the end of the 30th session, I’m ready to measure myself for the first time since that initial consultation. I’m amazed to find I have gained a whole inch and am now officially the height of my youth. Hallelujah – I am almost 5ft 5in again. Of course, that inch did not come cheap – at £85 a session, it has cost £2,400. However, as there are more than 800 Alexander practitioners around the UK and much can be achieved in a few lessons, it can be done more cheaply. I know I’ll never be supermodel-tall, but it’s good to know it’s possible to turn back time and that if I keep this up, I won’t turn into a hunched-over, little old lady. Better still, I have reclaimed my girlish agility and some of my confidence. After all, nothing gives your age away more than your posture. For information on Noël Kingsley and the Alexander Technique, see alexander-technique.com. For a list of Alexander teachers nationwide, go to stat.org.uk.